Jim Cramer provides his opinions about the Dow 30 stocks next year in this article found at TheStreet. Medtronic (own) rose 91 cents yesterday to close at $38.34, apparently based on a favorable research report from a Citigroup analyst, who raised the price target to $44 from $40. The report is summarized in Barrons. Yesterday, an SUV passed me as I was coasting into a red light. I was not approaching the red light at a sufficiently high rate of speed. The general idea among drivers in the SUV Capital of the World is to keep the peddle to the metal until you have to hit the brakes to avoid a collision with the stationary vehicle in front of you. It has always been my belief that those drivers have some sort of brain malfunction, possibly misfiring brain synapses, that probably explains a great deal more than their driving habits. Possibly, they will donate their brains to science for further study. 1. SOLD 50 of the TC KCW at $25.44 Last Tuesday (see Disclaimer): I am not comfortable holding long bonds and will be content to sell them at any profit when purchased near their par values. The TC KCW matures in 2043, so there is a ton of interest rate risk in that security. I collected one semi-annual interest payment and made a small profit on the bond. Bought 50 KCW at 24.9 August 2011 The underlying security in KCW is a senior bond originally issued by U.S. West Communications (FINRA), which later merged into Qwest in 2000, who was then acquired by CenturyLink (CTL) in 2011. KCW has a 7.5% coupon on a $25 par value. Qwest's bonds were rated junk before its acquisition by CTL. The underlying bond in KCW is now rated at the bottom rung of investment grade. The TC has a higher coupon than the underlying bond, which has a 7.125% coupon. There is a call warrant attached to this TC. CTL may redeem the underlying bond after 11/15/2013 at 102.740% plus accrued interest. Thereafter, the call option continues as the premium declines gradually. I still own other TCs issued by companies that are now part of CTL. I replaced this security with a purchase of a senior bond issue from U.S. West, which yields about the same as KCW, but matures about 20 years sooner. This kind of swap reduces my interest rate risk, while keeping my cash flow about the same. I will discuss this substitute purchase in the next post. 2. Sears (own 100 SSRAP and 1 Sears Holdings Senior Secured Bond-FINRA): Sears announced on Tuesday its intention to close 100 to 120 Kmart and Sears full-line stores. The company expects to generate $140 to $170 million in cash as the inventory in those stores is sold. Sears Holdings Press Releases The same store sales number for the eight week Christmas period were disappointing, falling 6% for Sears Domestic and 4.4% for K Mart. The common shares, SHLD, fell 27.2% on the day of this announcement and the bonds took a hit too. The longer term bonds fell the most. The common shares fell $12.47 to close at $33.38 last Tuesday. Yesterday, Sears Holdings (SHLD) continued to slide falling 43 cents to close at $32.9. An article in the WSJ, which discusses this latest negative development at Sears, mentions one of the root causes. Typically, according to an ISI analyst, retail companies spend $6 to $8 per square foot updating their stores every year, while Sears spends $1.5 to $2. Rather than updating the stores, Eddie Lambert has been using cash to buy back stock, spending 5.2 billion dollars over the past five years. Needless to say, that $5.2 billion could buy a lot more shares at today's price. I have personal stories about the local Sears store in Cool Springs, near HQ, that illustrate the problem. Item # 1 Sears; Item # 4 Sears. Doug Kass has a Sears bankruptcy as one of his 2012 surprises, TheStreet. By surprise he means a "possible improbable event". After the close yesterday, Fitch downgraded the senior unsecured debt to "CCC". MarketWatch Fitch kept its rating outlook at negative. The second lien 2018 notes were downgraded to B+ from BB. That is the bond that I own: Item # 2 Bought 1 Sears Holding 6.625% Senior Secured Bond Maturing 10/15/2018 at 83.25. Bought 30 TEX at $13.59 (9/20/11 Post); Sold 30 TEX at $18 (10/31/11 Post). I also recently bought 1 Terex bond. Bought: 1 Terex 8% Senior Subordinated Bond Maturing on 11/15/2017 at 96.947 (8/31/11 Post). I do not have much to add to those posts. Morningstar currently rates TEX shares at 5 stars. The consider to buy price is $19.8 or lower. Terex profile page at Reuters. LT purchases are invariably financed with cash flow. Snapshots of the trades made pursuant to this strategy, managed exclusively by the RB, can be found in the Lottery Ticket Strategy: New Gateway Post. The current, total realized gain is $8,922.07 for the LTs since 1/1/2009. Terex rose 46 cents yesterday to close at $13.09. I will be using some of my year end cash flow to buy more LTs. Newt Gingrich praised RomneyCare, the forerunner of ObamaCare, in a 2006 memo. WSJ Since it is generally believed that virtually all of the TB's are opposed to both health insurance plans, it is no longer viable for any GOP politician to say anything positive about those health insurance plans. Hypocrisy is a common human trait among TBs, so Gingrich will not miss a beat criticizing his opponent for RomneyCare. At least Gingrich is consistent in his hypocrisy. I am at least consistent on this issue. I have opposed the Democrats health care plan, primarily for fiscal reasons. I would admit, of course, that private health insurance premiums are increasing at a rapid rate. The premium on my $5,000 deductible plan with BlueCross BlueShield of Tennessee increased 23.5% in December. My Inflation Rate A large number of American households, who do not qualify for Medicaid, simply can not afford to pay for health insurance, and the number of uninsured will continue to rise. Just as an aside, I would add that my electric utility rate has increased by 25% over the past four years, another component of My Inflation Rate. While other insurance rates are not increasing as fast as health insurance, I have noted substantial increases in auto and home insurance premiums, well in excess of the government's CPI numbers. I have problems with every broker that I use, and some issues are relatively minor. The prices shown by Fidelity in my list of holdings do not reflect ex-distributions. Other brokers provide the correct adjusted price information. So, when I open up that list on significant ex-dividend days, I will be showing either a greater loss or a lesser gain than the reality. Such was the case yesterday. The market was unnerved yesterday by the substantial increase in the European Central Bank's balance sheet to €2.7 trillion and by the decline in the Euro. Over the past week, lending to European banks jumped by €879 billion. 1. Added 50 IGD at $8.78 Last Tuesday (see Disclaimer): The monthly distribution was 10 cents per share for this world stock CEF. ING Global Equity Dividend and Premium Opportunity Fund - Distributions Effective for the December 2011 payment, the rate was reduced to to $.093. www.ingfunds.com .pdfAs shown by the data at Morningstar, the dividend has been supported in part by a return of capital. Assuming a continuation of that reduced rate, which is of course in no way assured, the yield at a total cost of $8.78 would be around 12.71%. IGD is a buy-write world stock fund, using call and put options on major indices. This is a link to the last SEC filed semi-annual report for the period ending 8/31/2011: ING Global Equity Dividend and Premium Opportunity Fund Semi-Annual Report As of that date, the U.S. had the largest allocation at 31.5%. My most recent purchase of IGD was 100 shares in a retirement account: Bought 100 IGD at 10.94 (August 2010). Besides the hefty dividend payments, other reasons for the price decline since that purchase were an increase in the discount to net asset value and the European holdings. IGD was ex-dividend yesterday for its monthly distribution. I also changed my reinvestment option to the purchase of shares, given the higher than normal discount to net asset value. I had quit purchasing shares with dividends in the Spring of 2009. Suncor is currently rated five stars by Morningstar. S & P rates SU three stars with a $43 twelve month price target. SU is discussed in this recent article at Seeking Alpha. As previously discussed, Charles Maxwell mentioned SU favorably as one of the best positioned companies in the Canadian oil sands. (Barrons' Interview 2/12/2011 edition). I may buy another 100 of SU with my Canadian dollar stash on the Toronto exchange. Those CADs earn nothing sitting in my brokerage account. Suncor Energy closed at $27.88 yesterday, down 80 cents for the day. I do not own SLV. I was sufficiently uncomfortable with silver's rise this year that I elected to sell some junk silver coins in early September. I am not comfortable buying silver above $10 and have not done so. If and when silver falls below that level, I will likely use the proceeds from those sales to buy a silver ETF or more U.S. bullion silver dollars. Sold Some Junk Silver Coins (9/13/2011). I also sold my first gold when the price went over $1,900 per ounce. Item # 1 Recent Gold and Silver Sales (9/15/11) That post contains snapshots of two transactions. Those sales were made on 9/6/11 and 9/12/11. The cost basis for the junk silver was the face value of the coins. Paul Krugman discusses the anti-EPA agenda of the GOP in his NYT column. True Believers excel at reality creation. Information is created to justify their beliefs. Another personality trait is that a strenuous effort is made to avoid contact with any information that calls into question their beliefs. Frequently, they go a step further and make it difficult for anyone to gather information that would contradict their reality creations. The GOP is currently doing whatever they can to make it easy for citizens to carry concealed weapons. Houses Passes Bill Making Concealed Carry Permits Valid Across State Lines - ABC News To be fair, there are some GOP tribe members who do not believe that citizens need to carry automatic weapons concealed under a jacket, and some do not believe it is wise to encourage the carrying of guns into bars and playgrounds. One argument made by the TBs for liberalization of gun laws is expressed by Congressman Cliff Stearns (R), who asserted that those citizens who carry concealed weapons "have proven themselves to be among the most responsible and safe members of our community". Cliff can make that argument because most states do not permit public access to the names of gun permit owners, so there is no way for anyone actually interested in the truth to cross check gun permit information with other data such as convictions for criminal offenses. One state, North Carolina, does disclose the names of those allowed to carry concealed weapons. The NYT did a comprehensive study of N.C. data and found that a large number of those permit owners committed crimes, including of course crimes with their weapons. In one example, a man was riding with his daughter on a bicycle. A hot head with a gun, Charles Diaz, pulled along side of them, berating the man and his child for riding on the street. The man got off his bicycle and moved toward Mr. Diaz, who then pulled out his gun and threatened to murder the man in front of his daughter, whereupon the man turned around. Mr. Diaz then shot him in the back of the head, and fortunately the bullet just went through the bicycle helmet just above his left ear. The TBs do not want the public to have access to this kind of information, which should be available in every state. Shine some light on the TBs' reality creation. The public should have access to the names of gun permit owners so that the news media can cross check that information with other data involving the commission of crimes. The Tennessee GOP was extremely proud of one of their first legislative accomplishments after gaining control of the state legislature, which was a law permitting weapons to be carried into bars, school playgrounds, and state parks. 1. Sold 50 NXYPRB at $25.5 and Bought 50 INZ at $19 Last Friday (see Disclaimer): I would view the credit risk of these two securities to be roughly equal. For about $950, 50 shares of INZ will produce $90 a year in income, while 50 of NXYPRB would generate $91.875 using $1,275 of capital. I therefore keep my income at roughly the same amount while increasing my cash reserve by $325. The same calculus is behind several of the recent trades. INZ is an ING hybrid security. NXYPRB is a subordinated bond issued by the Canadian energy company Nexen. NXYPRB has a 7.375% coupon (Prospectus), while INZ has a 7.2% coupon. NXYPRB matures in 2043, while INZ has no maturity date. For me, a 2043 maturity date is likely to be equivalent to no maturity date. Both INZ and NXYPRB are subordinated bonds that make quarterly distributions. The distributions from INZ are, however, taxed as qualified dividends while the NXYPRB distributions are taxed as interest. NXYPRB. According to QuantumOnline, NXYPRB is currently rated Ba1 by Moody's and BB+ by S & P, while INZ is rated Ba1 by Moody's and BBB- by S & P.
I am wary of ING hybrids, however, due to the European sovereign debt and banking crises. The European hybrids, issued by financial institutions, are very sensitive to concerns about creditworthiness and the fear of a dividend deferral. As a result, the prices of these securities can be extremely volatile during times of financial stress, as shown by the prices that I paid for some ING hybrids during the Near Depression period. I bought INZ for example in an IRA at $7.82 and recently sold those shares at $21.21, Sold 50 of the ING Hybrid INZ at 21.21 Bought at a Total Cost of $7.82 (see snapshot of trade in Item #1 of that post). Another buy of INZ was made at $6.52 (February 2009). I discuss this type of security in my Gateway Post for ING Hybrids. I also discuss some relevant issues about them in a recent post, when I picked up 50 shares of IDG. Bought 50 IDG at $18.55 (12/5/11). One issue discussed in that last linked post involves the triggering of the mandatory payment clause, an issue of particular relevance for the ING hybrid securities for two reasons discussed below. ING is not paying a stock dividend, always a relevant issue to the owner of a more senior security whose payments can be deferred or eliminated. And, secondly, the Europeans have adopted a burden sharing policy in the event their financial institutions ever again come to their host governments for aid. The gist of that policy is that the dividends on the hybrids will most likely have to be deferred in the future, where legally possible, as a precondition to the receipt of state aid. More on EC Burden Sharing Policy Burden Sharing (see page 8 fn. 26 at ec.europa.eu/competition/state_aid .pdf) ING is still paying back the state aid received in 2008. I do not intend to repeat my discussions on this subject that can be accessed in prior posts, linked in the ING Hybrid Gateway Post. The approximate yield at a total cost of $19 is around 9.47%. The recent IDG purchase was closer to 10%. ING Groep N.V. 7.20% Perpetual Deb. closed down 45 cents in trading yesterday to close at $18.55. Nexen Inc. 7.35% Sub Notes 2043 rose five cents in trading yesterday to close at $25.6. 2. Increasing Cash Allocation While Maintaining or Enhancing Cash Flow: Last week, I made a number of swap trades designed to increase my cash allocation without reducing my cash flow. Any amount added to a money market fund now will earn nothing of course. So I attempted to increase my cash allocation by close to $5,000 without reducing my income or increasing my risk significantly. The risk part of that equation is always based on judgment and could be proved erroneous by subsequent events. The exchange discussed in Item # 1 above kept cash flow about the same while increasing the cash allocation. I will briefly discuss IGD, purchased yesterday, and included in the table above, in tomorrow's post. Traveling through the SUV Capital of the World, I routinely have to hit my breaks several times as SUVs pull out in front of me. The degree of pressure applied to my Saturn's brakes varies but occasionally the force is sufficient to activate the anti-lock braking system. Possibly, the Cleons have surreptitiously installed one of their cloaking devices on my car. The government reported last Friday that both consumer spending and incomes rose just .01% in November, below expectations. The weak income number was due to a decline in wages and salaries. News Release: Personal Income and Outlays, November 2011 The personal savings rate was 3.5% for November. Eastman Kodak announced that it had sold the Eastman Gelatin Corporation for an undisclosed sum. The sale includes a 575,000 manufacturing facility in Peabody, Mass. I unfortunately own two EK unsecured senior bonds maturing in 2013. Eastman Kodak Bonds: Update on Third Quarter Earnings Report Eastman Kodak (EK) Bonds-Own 2013 Senior Bond Moody's and Eastman Kodak The LB does not believe in miracles so I would be shocked to receive par value at maturity. I rate this bond at 10+ in my Personal Risk Ratings For Junk Bonds. The Trustee receives the 6.125% coupon payments from Goldman Sachs and then swaps that payment with Wells Fargo for the floating rate payment. Since T Bills are now hugging zero, Wells Fargo is receiving the best part of that deal. It is what it is. At a total cost of $13.25, I can calculate the minimum and maximum yield for this security. The minimum yield would be about what is being paid now due to the Fed's Jihad against the Saving Class. The 3 month treasury bill is a smidgen above 0%. I will call it zero for purpose of computing the minimum current yield, which would be 1.5%, assuming T Bills are at zero (.8% spread over 3 month bill x. $25 par value=$.20=1.5%). The maximum current yield would be 14.15%. The maximum rate would be hit when the 3 month treasury bill exceeds 6.6% during the relevant computation period. One way to look at this security is that it juices the 3 month T bill yield due to the spread factor and more importantly the GJS current discount to its $25 par value. In the foregoing analysis I used the phrase current yield. The yield to maturity would be significantly higher, since the YTM includes the additional yield resulting from the profit on the security. If GS survives to par value value on the 2033 bond, then the owners of GJS will receive their $25 par value. That would be a material increase in the total return/yield for this security. There are two main factors that make GJS unappealing now. There are concerns about the long term credit worthiness of investment banks. Those concerns ebb and flow and are reflected in common stocks prices of Morgan Stanley and Goldman Sachs as well as the prices of their respective equity preferred stocks, trust preferred stocks and bonds. All of those securities have fallen in price over the past several months. The other issue is the currently low treasury bill rate. GJS is not likely to provide any meaningful income anytime soon. Possibly, the FED's Jihad against the Saving Class, designed and intended to cause savers and other responsible Americans the maximum amount of pain possible for "an extended period of time", will continue to 2014. When T Bills return to more normal levels, this security will look better. In the meantime, I will just wait. I have snapshots of my prior trades of GJS in Stocks, Bonds & Politics: Trust Certificates: New Gateway Post. For this kind of investment to work, I will need to make money on the shares at some point. At a total cost of $8.28, the current dividend yield would be about 7.6%. I would need an annualized return of close to 10% before I would characterize this investment as successful. So far, I am nowhere close to that number. CSQ is a balanced fund that uses leverage. As of 11/30/11, the fund states that the total percent leveraged was 27.11. The portfolio allocation is shown at Strategic Total Return Fund Portfolio. Roughly, the allocation is 60% to stock and 40% to bonds. I would characterize the stock portfolio as titled toward large cap dividend stocks. The bond portfolio has probably been a drag recently with its junk bond weighting which is heavy into "BB" and "B". This is a link to the last filed SEC Form N-Q that contains the fund's holdings as of 7/31/2011. The last SEC filed shareholder report is for the period ending 4/30/11. Calamos Strategic Total Return Fund closed last Friday at $8.45 with a net asset value per share of $9.99, creating a discount to net asset value of -15.42% at that time. BCF closed last Friday at $10.7 with a net asset value per share of $11.72, creating a discount to NAV at that time of -8.7%. I also own shares of this stock CEF in a taxable account. I am in the red on the shares in that account and close to break-even with the dividend. I will discuss some of the other trades from last Friday in the next post. The headlines yesterday claimed that the market advanced on positive economic reports. One of those reports was a downward revision in third quarter U.S. GDP growth. The government's latest revision for the 3rd quarter claims 1.8% real GDP growth, down from the 2% estimate made last month. Two months ago, the estimate was at 2.5%. Gross Domestic Product Consumer spending for services was revised down to 1.9% from 2.9%. In another report, the thirty year, average mortgage rate hit an all time low of 3.91%. Primary Mortgage Market Survey (PMMS) - Freddie Mac The 15 year was at 3.21%. Overall, I view that as a negative signal about the economy. For those who are able to refinance at those rates, it is of course positive. I do not have a mortgage, being a confirmed member of the Saving Class, but that 15 year rate is sure tempting to the OG. RB just said, "get the loan and lets go to Vegas, play some blackjack for a $1,000 a hand, and have some fun." LB added that the "market was providing an abundance of fund, providing many opportunities for the LB to work on its trading rules for the Unstable Vix Pattern"
A positive piece of news was the decline in initial claims for unemployment to the lowest level since April 2008. Reuters published an article earlier this week about criminals forming shell companies to fraudulently bill medicare for services and equipment. I mentioned a similar series of stories in a February 2010 Post: Rampant Medicare Fraud Rather than attempting to chase the scumbags after they bill billions to Medicare, a more viable alternative would be verify the legitimacy of every provider before they could bill anything to Medicare. For new companies, the verification could be quite extensive for new companies, including a physical examination of the firm's premises by an inspector which would often catch the criminals before their scheme even starts. By some estimates, the U.S. loses 60 billion a year to Medicare fraud and the criminals show no signs yet of being fearful of a possible conviction or serious jail time in the unlikely event that they are caught and convicted. The TC HJO, which contains an Aon Capital TP as its underlying security, is ex interest today for its semi-annual interest payment. The WisdomTree Emergency Market Currency ETF (CEW) went ex dividend for its annual distribution on 12/21/11. The 2011 distribution came to $1.0572 per share. I own 100 shares for diversification purposes. John Hussman argues in his last commentary that the U.S. is "on the cusp of observable economic deterioration". Hussman Funds Given his generally pessimistic stance, it is not surprising that his Hussman Strategic Growth fund declined only 9.02% in 2008 and rose a horrific 4.63% in 2009. The Hussman Strategic Total Return return rose 6.34% in 2008, which was extraordinary, but then managed only a 5.84% return in 2009. All of those numbers originate from MSN Money. I do not not own either fund. 1. SOLD 50 ACET at $7.02 Last Tuesday (LOTTERY TICKET Basket Strategy)(see Disclaimer): I was satisfied with the percentage return in this LT so I sold it. This is my second round trip for ACET. Commercial Metals key developments page at Reuters. CMC's business is described in great detail, starting at page 3 of its recently filed Annual Report. 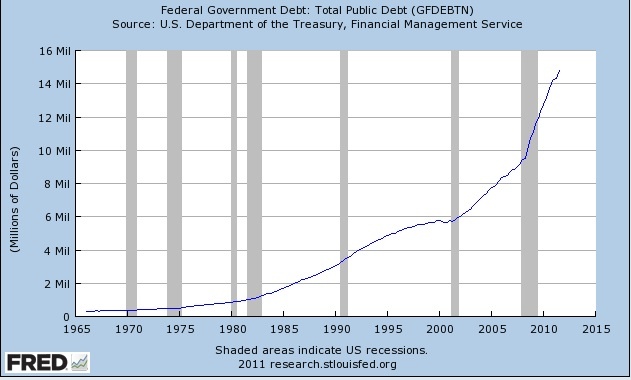 As of August 31, 2011, CMC had $222+ million in cash and $1.198+ billion in long term debt. The debt is described in note 9 starting at page 57. This bond is currently rated Ba1 by Moody's and BB+ by S & P. FINRA While those ratings are still in junk territory, they are much higher than most of the bonds purchased pursuant to this exceedingly risky strategy. I am assigning an initial 4 rating in my Personal Risk Ratings For Junk Bonds. My confirmation states that the current yield at my cost is 6.802% and the YTM is 7.493%. Somehow, I ended up with 50 shares of CBU in two separate satellite taxable accounts. Added 50 CBU @ 25.19 Bought 50 CBU @ 23.18 I decided to sell the highest cost shares bought at $25.19, keeping the shares bought at a slightly lower price in another account. I will look for an opportunity to add to the remaining shares when and if I can average down. 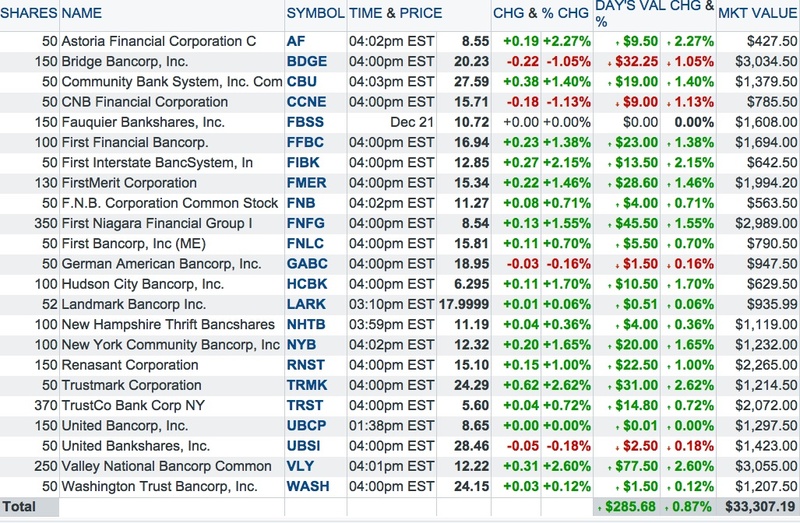 Regional bank stocks had a good rally yesterday. Community Bank System closed at $27.59 in trading yesterday. I certainly may be wrong about my big picture forecasts. I currently believe that the stock market is near a cyclical top and is more likely to decline 10% than to rise 10%. If that forecast proves to be correct, then I will have plenty of opportunities to buy securities at lower prices. If I am wrong, then my portfolio will still go up in value, but not as much as the market averages, unless there is a significant move up in non-equity asset classes such as junk bonds, preferred stocks, exchange traded bonds, Canadian bond ETFs, etc. I have been arguing in this post for about two years now that the S & P 500 would face stiff resistance between 1250 to 1300. As an example, I mentioned in a post from June 2010 that I anticipated range bound movement mostly between 950 to 1250 for at least two more years. 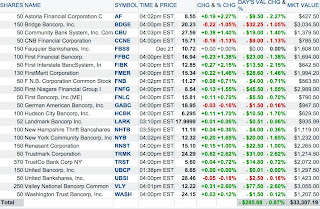 Stocks, Bonds & Politics and Item 2 Problems Brewing for Stocks (4/1/2010). This is consistent with my thesis that the rally off the March 2009 lows was a cyclical bull market within the context of a long term secular bear market. A new reason supporting that range can be found in Jeffrey Grantham's December 2011 commentary: www.gmo.com/ 3Q11.pdf (see Exhibit 1) I am nowhere near as pessimistic as Grantham, but I am certainly cautious now. European banks drew €489 billion on the European Central Banks new, first ever three year loans. Reuters Is that a positive development in the ongoing financial crisis? There are two ways to look at it, and both are correct in my opinion. It is positive that the ECB is taking action to prevent solvency events due solely to a lack of liquidity. It would not be wise to allow sound financial institutions to fail due solely to a temporary lack of liquidity. In this context, I would draw a distinction between solvency events due to temporary liquidity problems and solvency due to poor investment and lending decisions and/or recessionary conditions. However, it is extremely negative that the ECB believes that such a program is necessary. In my judgment, the negative outweighs the positive. These kind of central bank programs are just exceedingly extraordinary. I do not find any comfort that the ECB and the Federal Reserve believe that it is necessary to pull rabbits out of their hats. I would also place these events in a time perspective. Next September will be the 4th anniversary of Lehman's collapse. I bought a new Apple desktop computer for less than $1200 that contains a 2.5 GHz Intel Core i5 processor. I am amazed by the speed of this computer compared to my older IMAC purchased for several hundred dollars more. The computer came with a wireless mouse and keyboard. While I have no idea whether it is the new Lion operating system or the mouse, or more likely a combination of both, I can flip back and forth between web pages by simply moving my finger to the left and right, a really helpful feature for me. I have noticed a major problem, however, with that feature. When writing this blog, I have lost content that has not been saved when I accidentally move my finger sideways which causes a page flip. Instead of flipping the page, a pop up message appears, asking me whether I want to leave the page since content has not been saved yet. It does not matter how that question is answered. I can click the tab that says stay on the blogger page or the tab confirming the exit from that page. Either way, I lose the content that has not been saved yet by blogger's automatic saving feature. The positives of this feature outweigh the negative. Earlier this week, I mentioned that the federal government was running over a trillion dollars in the red every year now. A trillion dollars would be more than the entire national debt from inception to around 1980. While reading a book about President Garfield, I noted a couple of interesting tidbits about spending during his administration. While Congress did fund the Secret Service after Lincoln's assassination, funding was slashing in half from around $75,000 per year before Garfield became President, and there was no money to provide the President with bodyguards. Garfield was assassinated with no Secret Service protection. Garfield's wife had to enlist the aid of the news media to shame the Congress into spending 30 thousand to repair holes in the White House rugs. 1. Bought 1 Telecom Italia 5.25% Capital Senior Bond Maturing 11/15/2013 at 96.429 on Tuesday (see Disclaimer): This bond is rated investment grade. The current ratings are Baa2 by Moody's and BBB by S & P. Telecom Italia's common stock is traded in the U.S. under the symbol TI. I had read recently a blog in Barrons.com that Gimme Credit had upgraded its credit score for TI based on improving cash flow. I do not currently have a concern about being repaid at maturity. My confirmation states that the current yield at my cost is 5.399% and the yield to maturity is 6.829%. Given the short maturity, the investment grade, and the likely continuation of the Fed's Jihad against the Saving Class into 2013, I thought that those yields were barely acceptable. 2. SOLD 200 of the Bond CEF IMF at $17.78 Last Tuesday (see Disclaimer): IMF is a low yielding bond CEF that invests mostly in U.S. inflation protected bonds. I have been buying and selling this CEF, along with the similar fund WIW, on multiple occasions, usually for small profits after collecting one or more monthly dividend payments. I bought these last shares last October at $17.45. Prior trades include the following: Bought 300 CEF IMF at 16.5 May 2010; Sold: 300 IMF @ 17.23 October 2010; Bought 200 of the Bond CEF IMF at 16.64 February 2011 Sold at Few Days later; Sold 200 IMF at $17.15 February 2011. I trade WIW more frequently. I currently own 200 WIW shares. Item # 1 Bought: 200 WIW at $12.63 (9/29/11 Post)(contains snapshots of prior trading gains for both WIW and IMF). I may be prejudiced against U.S. government bonds at their current yields. Personally, while I may end up being wrong, I view the current pricing to be asinine. Five year treasury notes are yielding around .86%. The inflation protected 5 year has a negative coupon of close to 1%. The current yields of U.S. investment grade and treasury bonds do not reflect a rosy economic outlook for 2012. What does a negative coupon suggest about the world? For those who are committed Stock Jocks, the website Zerohedge provides a consistent daily dose of negativity about the stock market. The site is especially appealing to connoisseurs of negativity. The site is viewed here as consistent with Alan Abelson's perpetual negativity about stocks, though I find it to be generally more informative than Abelson. A reader referenced this article that contains some worthwhile discussion supporting a negative outlook for 2012. 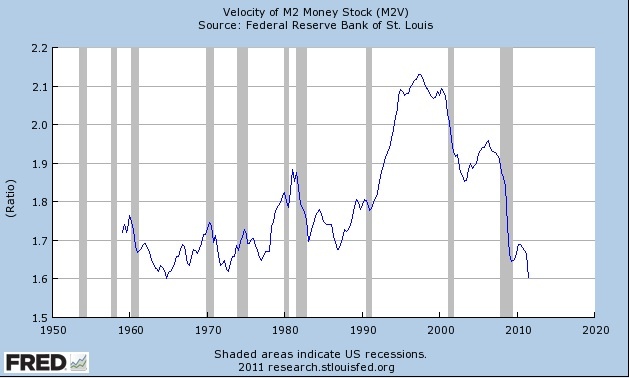 ZeroHedge One of the charts referenced in that article shows the correlation of the S & P 500 and the velocity of money. This kind of correlation varies over time but the overall correlation is positive. There was a positive correlation, as noted by the author, between 1991 and 2009. 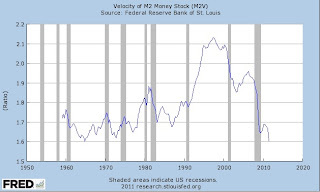 There was an overall robust move in stocks and the velocity of money between 1991 to 1999. There was a high positive correlation between 2000 to around 2009, for both the up and down moves of these two indices. There was, however, a negative correlation during the robust stock rally between 1982 and 1987. The point of the author is that the velocity of money has continued to trend down significantly while stocks have rallied since 2009. If the money does not circulate and is hoarded by financial institutions, then printing more money will not be a catalyst for growth. I do not believe that there was any news that justified the market's robust rally yesterday. Some traced the spurt to an uptick in German business confidence, an index that moved up to 107.2 in November from the prior month's 106.6. Bloomberg This sounds ridiculous because it is. Another purported reason was an increase in building permits. Building permits did jump due to more apartment starts. MarketWatch I would not call a 32.2% spurt in multi-family housing starts, off historic lows, as synonymous with a housing recovery. There was also a slight downward revision in housing starts for the prior month when the consensus called for an upward revision. The rally yesterday appeared to me to be another one based on hopium. Consequently, I made a small add near the close yesterday to a double short. My current relatively small hedges went from profit territory to slightly negative yesterday. It is important to double check the yields provided by financial websites. Marketwatch currently shows that the yield for CMK at 9.52% which is simply not correct. This CEF pays a monthly dividend at the rate of $.038 per share. MFS InterMarket Income Trust I In December, the rate was increased to $.065 but this was not a new monthly rate. Instead, there was an additional distribution for December 2011 so the fund could pay out its income for 2011. Marketwatch assumes that the $.065 rate will be paid for 12 months which is how it calculates a 9.52% yield. A more accurate yield would be 5.56% ($.038 x. 12 ÷ by $8.19 total cost=5.56%). I would not assume any additional payment in December 2012. I have a few other sales from yesterday that I will discuss in subsequent posts. I am coasting until the end of this year. 2. General Mills (own: Common Stock Dividend Growth Strategy) General Mills reported adjusted earnings per share of 76 cents for its Q/E 11/27/2011, its second fiscal quarter, unchanged from the year ago quarter. The consensus estimate was for 79 cents on that basis. The company reaffirmed its full F/Y 2012 guidance of $2.59 to $2.61, excluding integration costs connected with the Yoplait acquisition and mark-to-mark effects. Margins are being pressured by higher costs. The author of this article at MarketWatch argues that Applied Materials would be good investment for those with a two to five year time horizon. I am likely to add to my 50 share position when and if the price sinks below $10. I am currently sitting on a small unrealized loss after trading AMAT for small gains. Bought 50 AMAT at $12.45 (6/28/11 POST). The U.S. GDP is around $15 trillion (research.stlouisfed.org). The total indebtedness is around $52 trillion (Total Credit Market, or about 350% of GDP. Debt was at 250% of GDP in 1998. Of the total indebtedness number, the federal government's share is over 14 trillion and growing at over a trillion per year annually now. The S & P 500 will need to close above 1,257.64 to end higher for 2011. ^GSPC Historical Prices This index closed at 1205.35 yesterday. Given the inflation rate and dividend yield for this index the closing number would have to be slightly higher to provide a real rate of return for 2011. There was some positive economic news last week. The PMI number released by the N.Y. and Philly Federal Reserve Banks showed expansion in the manufacturing sector. www.philadelphiafed.org.pdf Empire State Manufacturing Survey- Federal Reserve Bank of New York The new order index rose in the Empire state region to 9.5. The seasonally adjusted initial claims for unemployment fell to 366,000 for the week ending December 10, much lower than the consensus estimate of 380,000. ETA Press Release: Unemployment Insurance Weekly Claims Report This was the lowest number of initial claims since May 2008. Paul Krugman argues in his NYT column that China's growth is not sustainable and the numbers released by the Chinese government are suspect. 1. Sold 100 TRK at 13.96 Last Friday (see Disclaimer): I had bought this position in two fifty share lots. The first was bought at $14.65. I then averaged down at $11.65 (11/7/11 Post). I am going to re-deploy the proceeds into a higher yielding security. I am still interested in Speedway Motorsports as a long term value play, but would prefer an entry point for 100 shares nearer $11.65 than $14.65. The current quarterly dividend is ten cents per share. By splitting the purchase into two lots and averaging down, I was able to realize a small profit on the shares plus the dividend. TRK closed at $13.88 yesterday. Randall Forsyth summarizes the opinions of Louise Yamada and Richard Russell in his Barrons column. Both Yamada and Russell are decidedly negative about the stock market's prospects. I am inclined to agree with Russell that the rally off the March 2009 lows was a bear market rally, rather than the start of a new long term secular bull market. I have repeatedly made that point. Russell believes that the appropriate analogy is to the bear market rally of 1929-1930, which occurred after the October 1929 crash, that was followed by the bear reasserting itself on steroids, punishing severely anyone who bought into the bear market rally and failed to exit their positions in time. Russell believes that the bear will take over when the DJIA falls below 10,000 and surprise everyone with its downside vigor. This is a possible scenario. Forsyth titles his column "survive the bear to invest another day". If the Russell scenario happens, the only way to survive is to preserve capital in order to buy at lower prices. A similar dire scenario was proffered by Felix Zulauf and discussed by me in an earlier post. 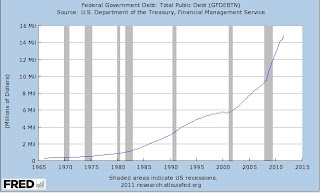 Zulauf/Faber and Financial Armageddon Redux/Debt Burden of the American Household (June 2011 Post). As I mentioned in that post, the opinions of Zulauf, Russell and many others, relating to future events, are frequently stated with certainty, even though no one can have any degree of certainty about the future. I prefer to create a frame of reference that includes several possible scenarios and then assign them various decrees of likelihood. Each scenario might have a particular investment strategy attached to it. If I believed now, for example, that the market rally since March 2009 was the start of a long term secular bull market in stocks, I would substantially increase my stock allocation. If I was certain about the Russell scenario, I would own almost no stocks. I do not have that kind of certainty. I view both of them as possible, even though completely at odds with one another, and have accordingly kept a significant stock allocation (the bull case) after making a substantial reduction (the mega bear case). Whatever scenario comes to fruition, I do believe that the downside risk is more dominant now than the upside. That opinion requires a tilt toward preservation of capital. Part of that tilt is manifested by a high allocation to cash. At the moment, it appears to me the market is forecasting a very mild and short term downturn in Europe, a successful resolution of the European sovereign debt and banking problems, and 2 to 3% U.S. GDP growth in 2012. Those are the forecasts baked into the market's current level. A less optimistic scenario is the more likely one, which is why the downside risk is more pronounced in my opinion. Adjusted for inflation, the S & P 500 has returned to 1996 levels. MarketWatch (see GS chart at page 2 Scribd) This number was mentioned in this video interview with a Morgan Stanley analyst. 1. Bought 100 WIN at $11.31 Last Thursday (see Disclaimer): I recently exited my common stock position in Windstream. Sold 300 WIN at 12.31 (August 30, 2011 Post) I sold those common shares to buy 3 Windstream senior bonds. I thereafter sold all of those bonds. Sold All Windstream Bonds: Two 2019s at 101 and One 2020 at 103.5 I then had no position in Windstream securities until I bought back 100 shares of the 300 common shares last Thursday. There are a couple of reasons to tread lightly with this company. It has a lot of debt and most of its revenue originates from a declining land line phone business. As of 9/30/11, the long term debt totaled $7.297 billion and is summarized at pages 12-15 of the last filed SEC Form 10-Q. This security was purchased with mid-December cash flow. 2. Sold 1 United Rentals Subordinated Bond at 101.125 Last Thursday (Junk Bond Ladder Strategy) (see Disclaimer): I bought this bond a few months ago at 91.5. Bought 1 United Rentals 8.37% Senior Subordinated Bond Maturing 9/15/2020 at 91.5 I have elected for now to take profits on some bonds bought at below par value when their prices pop over par. And, I am then reinvesting the proceeds in bonds selling at greater discounts to par. It remains to be seen whether this aspect of the junk bond strategy will work. I sold this bond last Thursday. On Friday, United Rentals announced that it was going to acquire a competitor, RSC Holdings, in a $4.2 billion deal. CNBC Joint Press Release This caused the 2020 senior subordinated bond to fall over 5% in price. I am not likely to buy this bond back, unless there is a substantial decline in its price. As of 9/30/11, RSC Holdings had $2.257 billion in long term debt, see page 3 Form 10-Q. I would have sold one or both of my Vulcan Materials bonds, but no bids have yet to materialize in small 1 bond lots. I have in effect exchanged this 1 United Rentals bond, and hopefully 1 Vulcan bond, for the bond described below. 3. Bought 2 Exide Technologies 8.625% Senior Secured Bonds Maturing 2/1/2018 at 81.375 Last Thursday (Junk Bond Ladder Strategy)(See Disclaimer): The issuer of this note is Exide Technologies, a battery manufacturer. I discussed this company in a recent post: Item # 1 Bought 70 XIDE as LT at $2.75 I mentioned then that I might buy the secured note. I would have preferred to buy just 1 bond, but two was the minimum order. Finra Information: FINRA According to FINRA, this bond is rated B2 by Moody's and B by S & P. Both ratings were issued in January 2011 when this bond was sold in a private placement. Subsequently, the bonds sold in the private placement were exchanged for bonds with the same material terms that had been registered with the SEC, a common sequence of events. Prospectus Interest is payable semi-annually in February and August. This is a secured note. The security is described in the prospectus starting at page 33. My confirmation states that the current yield at my cost is 10.542% and the yield to maturity is 13.035%. The SEC filings for Exide can be found at EDGAR. ADDED 4/4/13: There was a large drop in this bond's price today due to two news events. The Los Angeles Times that several members of the L.A. City Council were irate about alleged arsenic emissions from the Exide battery recycling plant in Vernon, CA. latimes.com At a minimum, this kind of news story will bring the class action lawyers out in droves. After the close on 4/4/13, Exide announced that it had hired Lazard "to advise the company on financing alternatives to maximize the value of the company for all stakeholders", which would include the common shareholders. Exide Technologies Retains Financial Advisor In that press release, the company announced that its free cash flow for the fiscal 4th quarter would be "approximately $50 million, exceeding prior guidance of $30 million, with total liquidity (cash and availability under credit lines) at March 31, 2013 of greater than $230 million." Added 4/26/13: The most recent piece of bad news was an order from the California Department of Toxic Substances to suspend operations at the Vernon recycling plant which supplied a significant portion of Exide's domestic lead requirements. Exide Receives Order From California Department of Toxic Substances Control Regarding Its Vernon, CA Facility; latimes.com In response to this latest adverse development, the stock plummeted to below $1 per share. Wedbush downgraded Exide to neutral from outperform and Maxim downgraded to hold. The 2018 bond is trading now near 65, and has traded down to near 63 intra-day, which suggests to me that institutional investors are attempting now to price this bond's value in a bankruptcy reorganization. Yesterday, the online bids for the 2018 bond disappeared. Apparently, Debtwire published a story during the day that Exide was in talks for debtor-in-possession financing for a Chapter 11 BK financing according to StreetInsider. Added 6/10/13: As expected, Exide filed for BK this morning. According to the WSJ, Exide has secured a $500M DIP loan from JPM. Exide blamed several recent events for its BK filing including the forced shutdown of its Vernon plant that purportedly wiped out $24M in earnings before interest, taxes, depreciation and amortization and the loss of sales to WMT in 2010. See also, Bloomberg, Reuters, Exide Technologies Files Voluntary Chapter 11 Petition to Restructure U.S. Operations The European operations are not included in the BK.